Bayer 04 Leverkusen forward Stefan Kießling is cautiously optimistic ahead of his side’s meeting with FC Bayern München on Saturday, and believes there is plenty more to come from his budding partnership with Javier ‘Chicharito’ Hernandez. Speaking exclusively to bundesliga.com, the 32-year-old talks about his proposed move to Hannover 96 falling through, playing alongside a certain Mexican megastar and the upcoming match against the Bundesliga leaders. Stefan Kießling: That’s right [grins]. The last couple of weeks have been intense, and even for an experienced professional like me it was very confusing emotionally. I had made up my mind to join Hannover and had already agreed to move there. My children were already enrolled in school and kindergarten and we were busy house hunting. bundesliga.com: Would it have been emotional to leave Leverkusen after ten years as a fan favourite? Kießling: Deciding to leave Leverkusen was far from easy after such a long time here. I didn’t make the decision overnight, but after a lengthy period of consideration. I don’t know if it would have worked out, but I was willing to try it. bundesliga.com: Leverkusen won 5-0, you scored two and created two for Chicharito. Was it one of your best ever games for Leverkusen? Kießling: I’d say so. The partnership with ‘Chicha’ is something that has to develop with practice. It’s not going to happen overnight. Until then we’d played together in maybe two or three matches. It was precisely in those games that it didn’t work so well, because either the opposition were much better, or we had an off-day or whatever. There are a lot of factors involved. But I nevertheless always had the feeling that we could work well together. It might not be perfect right now, but we’re on the right track. I’m sure we'll benefit from each other in future. bundesliga.com: How would you describe Chicharito as a striker? Kießling: Chicha’s deadly when he pops up in front of goal. He has a knack of knowing where to be most of the time. He’s played for Manchester United and Real Madrid, and although things might not always have gone well for him there, he’s an absolutely top-level, world-class striker. We’re very happy he’s showing that here with us. bundesliga.com: Chicharito’s performances has put the Bundesliga on everyone’s lips in Mexico. Have you ever experienced such euphoria surrounding a Leverkusen player before? 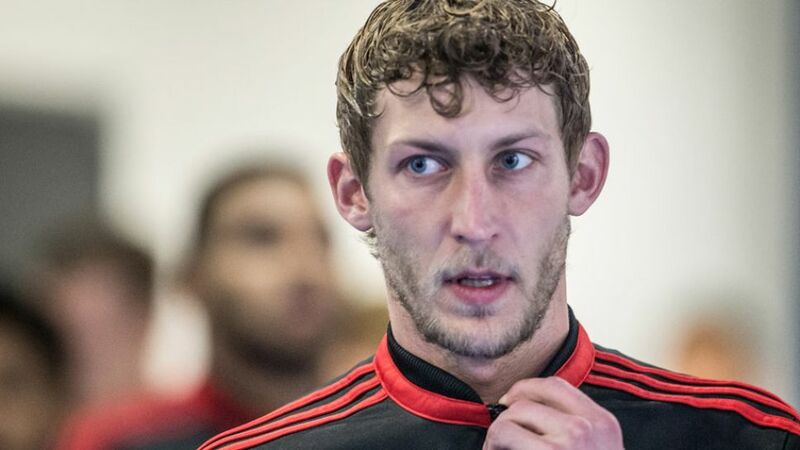 Kießling: It really is crazy, especially when I think back to our training camp in Orlando. But it was also crazy with ‘Sonny’ [Heung-Min Son] when we went to South Korea. Obviously in terms of raising the profile of the club and the league, things like that are great. Kießling: Be careful, it’s only been a couple of games that things have gone well again.